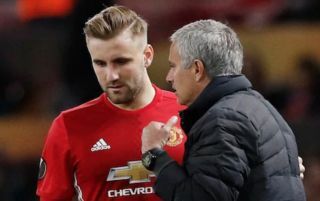 Luke Shaw has revealed what Man United manager Jose Mourinho said at half time during his side’s 3-0 loss to Tottenham in the Premier League on Monday. As per the Mirror, the England international said that Mourinho reminded his players of their empowering display against their north London opponents at the half time interval of their match on Monday night. 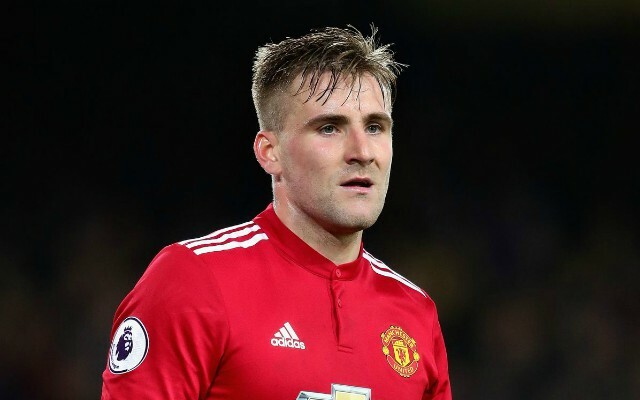 According to the Mirror, Shaw told Man United TV that Mourinho said at half time “Second half, we spoke inside, Jose said they haven’t had one corner, one cross, one dangerous opportunity”. It’s fair to say that United probably deserved to score at least on during their match yesterday given how good they were in the first half, however for them to lose 3-0 at home to a Champions League rival is just unacceptable. United fell to their second defeat of the season against Mauricio Pochettino’s side on Monday, as goals from Lucas Moura and Harry Kane condemned the Red Devils to their second defeat in two Premier League games. Having already lost to Brighton this season, Man United fans must surely be getting impatient with their side, and particularly manager Jose Mourinho, for their inability to win games they would normally pick up three points in. Should United lose any more big games in the coming weeks, we can’t look past Mourinho being sacked by the club, something that will surely see his reputation as a world class manager take a big blow.